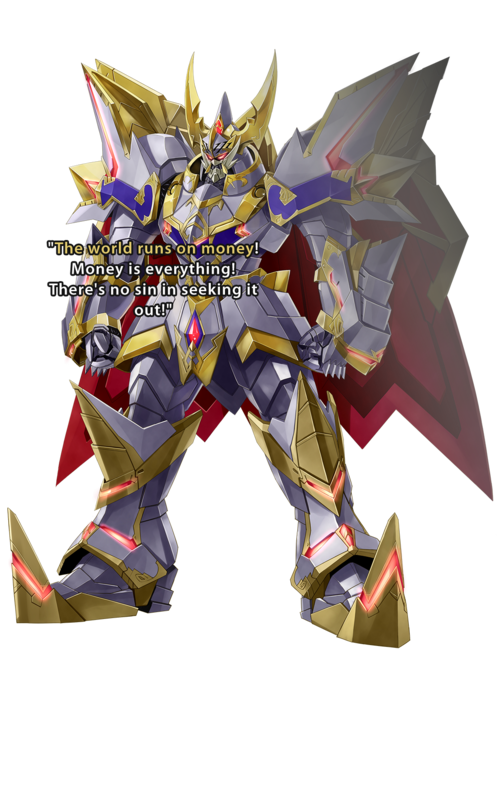 A self-proclaimed General and the head of the "Secret Organization AffimaX," who uses an aerial battleship as a base. He's extremely obsessed with money, and is willing to plunge Gamindustri into chaos for the sake of a profit. Thanks to the affiliates on Gamindustri's biggest information site, "@GeneralSummarySite," which Affimojas runs himself, he's making a tremendous amount of money.